This phenomenal production tells the story of the most successful musical duo of all time – The Everly Brothers. WALKING RIGHT BACK TO A THEATRE NEAR YOU! Following an incredible sell out tour, Walk Right Back returns to stages in 2019 by popular demand. 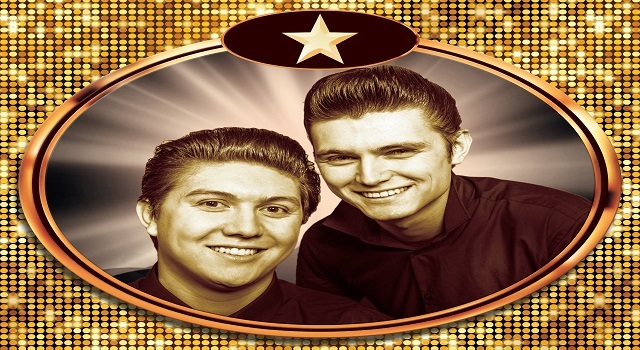 From the producers of smash hit show That’ll Be The Day, this phenomenal production tells the story of the most successful musical duo of all time – The Everly Brothers. Featuring hits such as Bye Bye Love, All I Have To Do Is Dream and Cathy’s Clown, this unique concert-based musical entwines the wonderful, sad yet glorious story of The Everly Brothers. The show follows the brothers' rise to fame from humble country beginning to superstardom, through their decade-long feud to their glorious reunion which gave them back to each other, and back to the world. With harmonies from heaven͟ that influenced The Beatles, The Beach Boys, and Simon & Garfunkel, The Everly Brothers were unmatched in their talent. Also featuring songs from a couple of the Everly Brothers' good friends, Buddy Holly and Roy Orbison.